Mounts in single or multiple-ganged junction box. 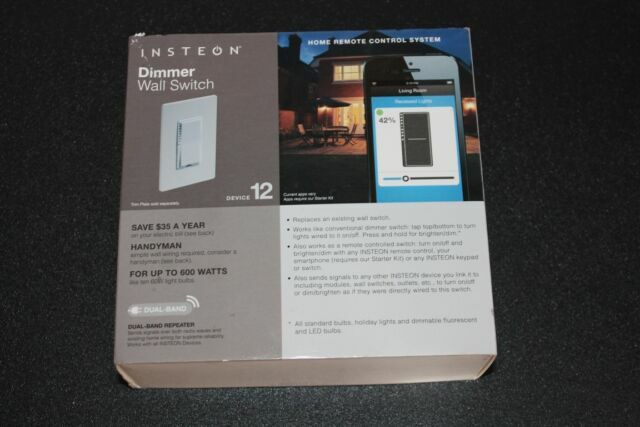 Control 200 W less load for each immediately adjacent SwitchLinc Dimmer installed. For example, 600 W load control becomes 400 W with another dimmer to the immediate right or left. Use a triple-gang box with a mechanical switch in the center to avoid de-rating.